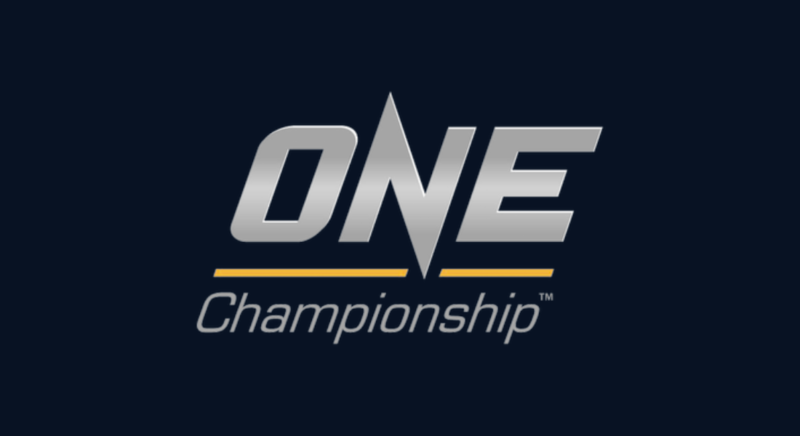 The largest global sports media property in Asian history, ONE Championship™ (ONE), has just announced its return to Malaysia’s bustling capital city of Kuala Lumpur. ONE: VISIONS OF VICTORY is set to ignite the Axiata Stadium with an evening of authentic martial arts action. While a main event is yet to be announced, ONE Championship has revealed a handful of compelling bouts featuring the absolute best in local and international martial arts talent. Agilan “Alligator” Thani of Kuala Lumpur, Malaysia is a 22-year-old martial artist and one of the top welterweights in ONE Championship. Thani’s quick rise through the ranks has seen him amass a stellar 8-1 professional record, including a title shot against former ONE Welterweight World Champion Ben Askren in May of 2017. Although Thani fell short of victory against the American, he gained a great amount of experience as a result and has emerged as a more seasoned combatant. All but one of Thani’s victories have come by exciting finish. The young Malaysian has shown steady improvement in each outing and he will now face Amitesh Chaubey in his next assignment. Amitesh Chaubey is a martial artist from India and a welterweight newcomer in ONE Championship. He owns a professional record of 8-5 and is a former SFL Welterweight Champion known for his knockout power. Primarily a boxing stylist who stifles opponents with his quick hands and fluid combinations, Chaubey joins a deep ONE Championship welterweight division looking for a new champion. He takes on former welterweight title challenger Agilan Thani in his promotional début. 19-year-old Christian “The Warrior” Lee, younger brother of reigning ONE Women’s Atomweight World Champion “Unstoppable” Angela Lee, began his professional career on an absolute tear, railing off five straight victories by thrilling finish. He has impressed fans with his ability to seek stoppage wins over top-caliber opponents. A former Pankration World Champion, Lee toppled Japanese veteran and former ONE Lightweight World Champion Kotetsu Boku in his most recent bout, winning by first-round technical knockout to improve his record to 8-1. Known as a creative and fluid striker with unorthodox grappling technique, Lee is now set to face another Japanese veteran in Kazunori Yokota. 39-year-old Kazunori Yokota of Chiba, Japan is a martial arts fixture with over 12 years of professional experience under his belt. A champion of Japanese promotion, DEEP, Yokota is one of the toughest competitors at featherweight as he has constantly punished his opponents and grinded out impressive victories. Yokota made his ONE Championship début in May of 2016, challenging former ONE Featherweight World Champion Marat Gafurov for the title. Yokota sports a stellar record of 26-7-3 and in his most recent bout, submitted his opponent in another promotion. Now, Yokota is set to take on the surging Christian Lee. Malaysia’s Gianni Subba is a 25-year old flyweight talent from the capital city of Kuala Lumpur. He spends time carefully honing his craft with talented teammates, including brother Keanu, at Bali MMA in Indonesia. A winner of six of his last seven bouts, Subba is a seasoned athlete with a stellar 9-2 clip in his young career. Five of his nine wins have come either by submission or by crowd-pleasing knockout. In his next assignment, the crafty wushu specialist Danny Kingad poses a stern challenge. Top flyweight talent from the famed Team Lakay of Baguio City, Danny “The King” Kingad is a regional wushu champion with a wushu record of 29-1 and martial artist with a professional record of 8-1. A true warrior from the mountains of the Philippines and one of the top prospects to come out of the country, Kingad is a tremendous striker who possesses well-rounded grappling skills. In his most recent bout, Kingad suffered the first defeat of his career after being submitted by reigning ONE Flyweight World Champion Adriano Moraes in the first round. Kingad will now return to action against Gianni Subba. Former amateur standout Muhammad Aiman of Malaysia is one of the country’s fastest rising young martial arts talents. Featuring a well-rounded skill set, Aiman has impressed in his time inside the ONE Championship cage thus far, defeating Hisyam Samsudin by unanimous decision in his first match in the promotion before stopping Brazilian grappler Eduardo Novaes in his second outing. In his most recent contest, Aiman thoroughly dominated Chinese prospect Yang Fei to win a unanimous decision. The 23-year-old is now set to take on his next challenge in Burn Soriano. Burn “The Hitman” Soriano of Ilocos Sur, Philippines, is coming off a tough contest against China’s Chen Lei last November. The Filipino featherweight features an aggressive style, with solid power and seasoned grappling technique leading to all of his wins to date coming by way of stoppage. His 15-second spinning back fist knockout of Indonesia’s Mario Sitya Wirawan in 2016 was one of the fastest finishes in ONE history. A national kickboxing champion with a kickboxing record of 14-3, Soriano has shown steady improvement over his last few contests and now looks for victory next against Muhammad Aiman. 18-year-old Jihin Radzuan of Johor Bahru, Malaysia is a highly-touted young martial arts prospect making her ONE Championship début. A well-rounded competitor, Radzuan is a Muay Thai and boxing practitioner with a blue belt in Brazilian jiu-jitsu. A former Southeast Asian Open Gold and Silver Medalist in Muay Thai, Radzuan is known for her varied striking skills and terrific knockout power. Radzuan will step into the ONE Championship cage in Kuala Lumpur to face Puja Tomar. Flyweight competitor Puja Tomar is a martial artist from India with a professional record of three wins and two losses. With a knack for showcasing her solid striking skills, Tomar has recorded all three of her victories by knockout. Competing largely in her home country of India, the former India wushu champion Tomar now makes her second appearance on the biggest stage in Asian martial arts as she is set to face Jihin Radzuan in the ONE Championship cage. Hisyam “Zephyrus” Samsudin of Malaysia is a former WBF Asia-Pacific Light Heavyweight Boxing Champion who trains at the highly-regarded Borneo Tribal Squad with former female strawweight talent Ann “Athena” Osman and coach AJ “Pyro” Lias Mansor. Samsudin likes to pepper opponents with heavy-handed strikes, utilizing his world-class boxing base to break down opponents. Samsudin’s next assignment is against Jerome S. Paye. Liberian martial artist Jerome S. Paye made his ONE Championship début in February 2016 against China’s Li Hao Jie. In the bout, Paye showcased a well-rounded set of techniques, stifling his opponent with an array of striking combinations. With the ability to make bouts difficult for any opponent, Paye has shown incredible heart and determination in his time inside the ONE Championship cage. This time Paye will take on Malaysia’s Hisyam Samsudin. Ticket information for ONE: VISIONS OF VICTORY is available at www.onefc.com.